I started this chopper build last year and its almost finished just needs a little paint and I will post the picture when the paint job is done. 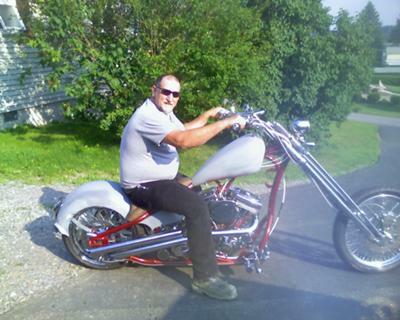 hey steve, I like your chopper, I would to build one exactly like yours. how much did it cost? where did you get tyhe frame?